Atlantic Central is pleased to congratulate our Business Continuity Manager Margie Douglass on her recent appointment to the national Board of Directors of DRI Canada. Atlantic Central, a central service provider to credit unions, takes pride in our focus on business continuity and risk management. 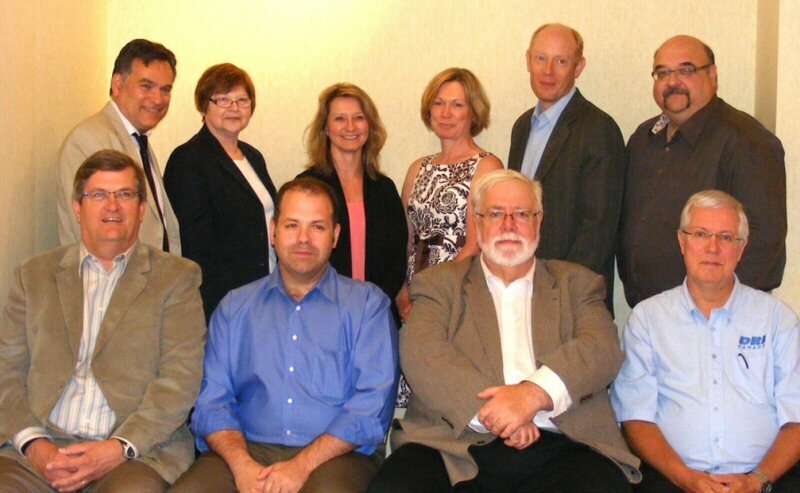 The DISASTER RECOVERY INSTITUTE (DRI) CANADA announced its newly elected Board of Directors at its Annual General Meeting held June 26, 2012 in Toronto. DRI CANADA is Canada’s Leader in BCM Education and Certification. DRI CANADA announced the results of their annual Board of Directors election meeting at the Renaissance Downtown Toronto hotel. Malcolm Smeaton, ABCP, Director, (Toronto ON) was elected President, Margie Douglass, CAPM, CBCP, Director, (Halifax NS) Vice President; Graeme Jannaway, CISA, CBCP, Director (Toronto ON), Treasurer; Jared Serviss, ABCP, Director (Calgary AB) Secretary and Privacy Officer. Mary Genyk, CBCP, Director (Winnipeg MB) will serve as Past President. Reta Setrak, MBCP, Director (Toronto ON), Réjean Pesant, CBCP, Director (Laval QC), Debi Letkemann, ABCP, Director (Vancouver BC), Brock Holowachuk, CBCP, Director (Winnipeg MB), Ivan Kusal, CBCP, Director, Education Commission Chair (Calgary AB), Patrick W. (Butch) Brennan, CBCP, MBA, Director, Certification Commission Chair (Athabasca AB), Grant Whittaker, CBCP, Executive Director. For more information about DRI CANADA please visit the website at www.DRI.ca.